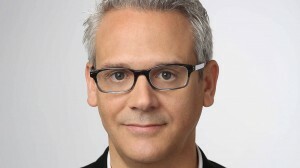 Producer Michael Jelenic breaks down the success and evolution of Cartoon Network's hit 2D-animated comedy-action series Teen Titans Go!, whose ratings continue to grow. For the first quarter of 2015, Cartoon Network series including The Amazing World of Gumball, Adventure Time, Regular Show, Uncle Grandpa and Steven Universe accounted for eight of TV’s top 10 animated series among kids six to 11 according to Nielsen ratings. 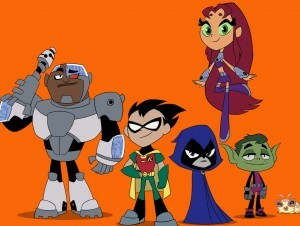 Also featured among the almost super hero-like team of programs is Warner Bros. Animation’s comedy-action series Teen Titans Go!, a show that knows a thing or two about superhero sensibilities as it’s inspired by WB’s original Teen Titans series featuring classic DC Comics characters Robin, Starfire, Raven, Beast Boy and Cyborg. Currently in its second season with a third season renewal in the books, the series follows the absurd antics of a group of teenage superheroes who live together without adult supervision when they’re not out saving the world. 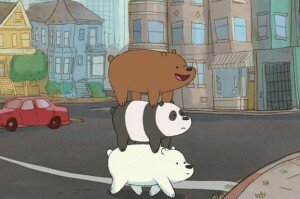 The show has been a consistent ratings winner for Cartoon Network since its April 2013 debut, but it appears to be on an upward swing in its second season, landing top telecast of the week ranking among all networks for kids and boys six to 11 in March this year. So why is it happening? The one significant aspect of the 52 x 11-minute program that has changed over time is its tone. According to producer Michael Jelenic (ThunderCats, Batman: The Brave and the Bold), the show has become more comedic and character-based, and less concerned about superhero powers and cool action sequences. Jelenic spoke with Kidscreen about how the writing for the series has evolved, why a tongue-firmly-in-cheek cross-over episode was created to appease the show’s more adult fandom, and what viewers can look forward to in season three. How are you feeling about the current direction of Teen Titans Go!? Seeing how well it’s done on Cartoon Network makes us feel more confident in the choices we’re making. When we started, season one was tied more closely to the 2003 show, which was a little more traditional superhero-focused. For Teen Titans Go!, the original pitch was it’s a comedic take on superheroes, but now you can watch an episode and you won’t necessarily feel like there is much of a superhero influence. Moving forward, there is less importance placed on having cool action scenes. If we’re going to do action in a superhero way, we’re looking more now for the joke. The emphasis is definitely more on the characters, who they are and how absurd or silly we can be with them. Was Teen Titans Go! a way to break away from the darker, grittier tones often associated with superhero franchises, especially ones from DC? I definitely think the take we came up with for the show was in response to the darker trend that has been around even for kids shows. Batman, the animated series, sort of started it and they did it well. But everybody’s been trying to top that series since. And somehow, progressively, all the superhero kids shows got darker and darker and more sophisticated. But a lot of those shows aren’t doing as well right now. People started saying, ‘We can’t keep doing this.’ If we had made our show five years earlier, I bet it would have been a straight-up action show. 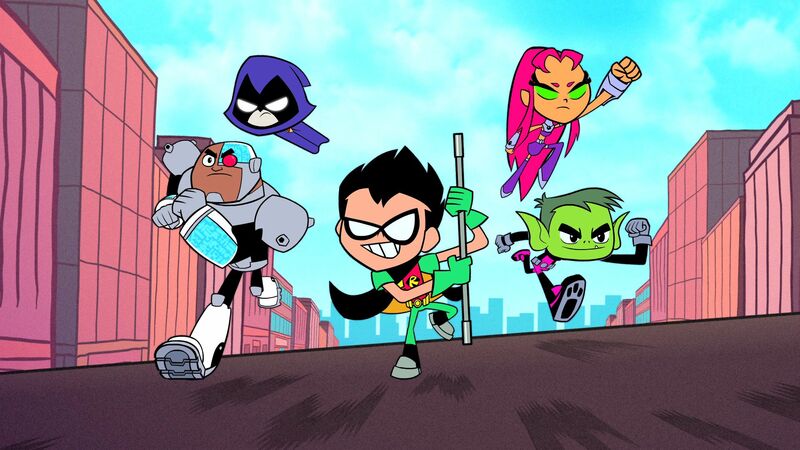 While the show’s self-referential humor and silliness is a hit with kids, longtime DC Comics fans who grew up with the original Teen Titans don’t often get it. Was the recent season-two crossover episode that brings back the teenaged heroes from cancelled Cartoon Network series Young Justice a way to silence your critics? Even though it’s supposed to be a comedy, our show is frequently criticized for not being ‘serious’ enough. So we thought it would be funny to do an episode about the Titans taking that criticism to heart and, of course, who better to challenge them to be more serious than the characters from Young Justice—the show our critics always point to saying, ‘Why can’t you be more like them?’ So, the second season has been a lot of fun for us. We’re experimenting a lot more. 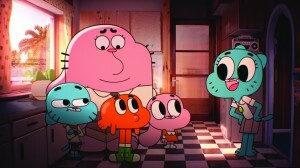 Cartoon Network has seen recent double-digit increases among girl viewers six to 11. How has Teen Titans Go! contributed to that growth? One of the unique things about our show is its diverse cast. Two of the main characters are strong, funny females. That just by itself brings in a female audience. The show does very well with boys, but everyone has been surprised by how many girls watch, too. Any unique ideas planned for the new season? As far as season three, we are doing a two-parter where the Titans go to the Hall of Justice, where the Justice League lives. They end up in those characters’ costumes pretending to be the Justice League and have to face off against supervillain Darkseid. So that will be fun. What’s the biggest challenge in producing the series? The only difficult thing is we have to have a new idea every week, and we’ve been doing it for three years. On the plus side, you can take risks. The show has also benefited from a consistent point of view that my producing partner Aaron Horvath and I bring, since we’ve worked together from the beginning. Jazwares takes master toy licensee for Teen Titans Go!